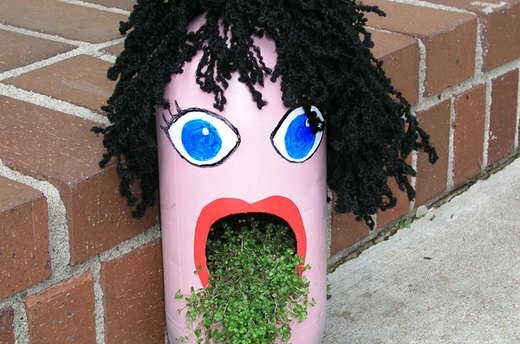 Celebrate Earth Day this year by creating upcycled planter characters with your older children. 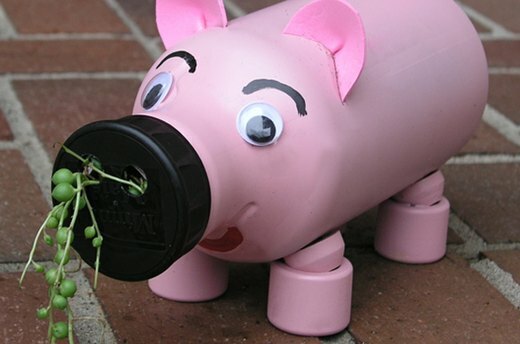 Inspire creativity by looking at plastic containers around the house in a different way. Take a trip to the local nursery and really look at the variety of plants available. Wondering which characters to make? Click through to the end of the slideshow for inspiration. 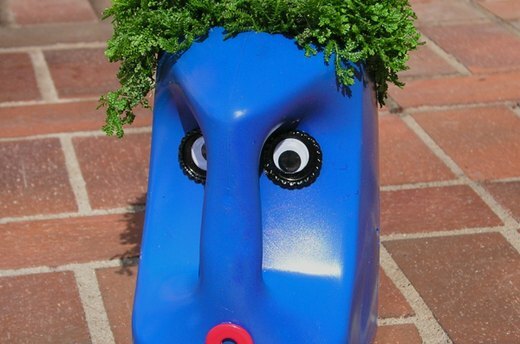 Once the spray paint is dry, use acrylic paints, googly eyes, pom poms and other assorted decorative elements to add character to the planter. 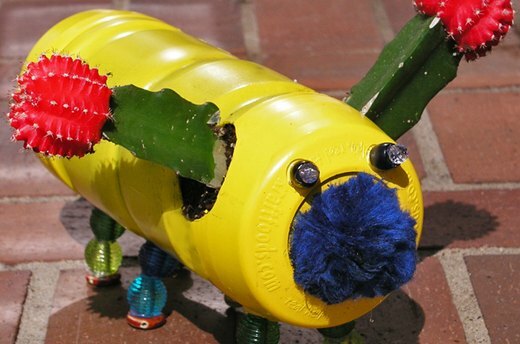 A soda bottle painted like a face with yarn hair creates a funny character. Kids are always suckers for bodily function humor! 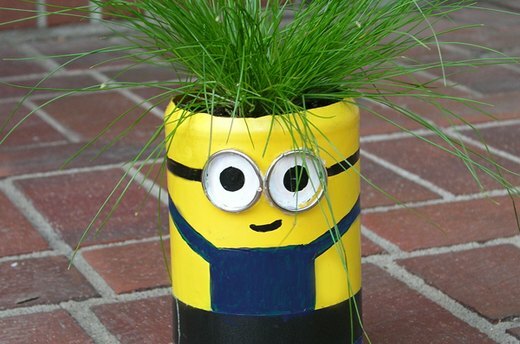 This popular character is easy to create from a peanut butter jar. 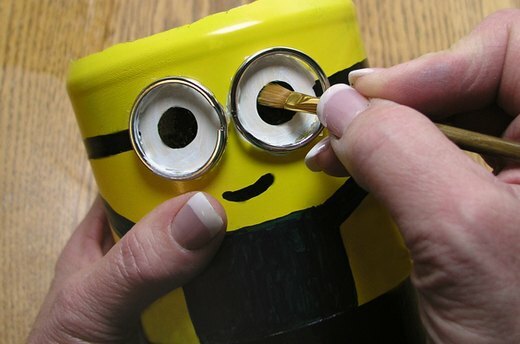 Spray paint the bottom of the jar blue, tape a line to avoid color mixing, then paint the top portion yellow. 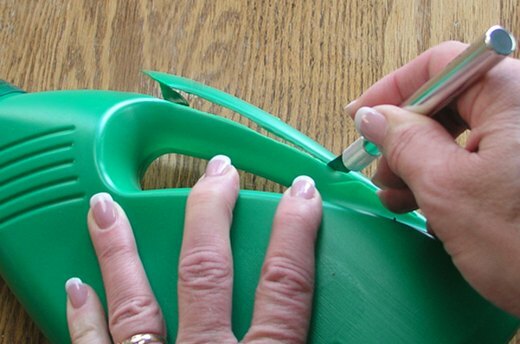 Add details with acrylic paint. The glasses are split rings and the plant is called a "live wire." 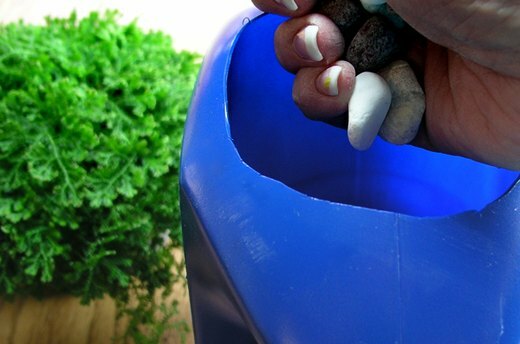 A simple laundry detergent bottle finds new life as a tribal inspired planter. 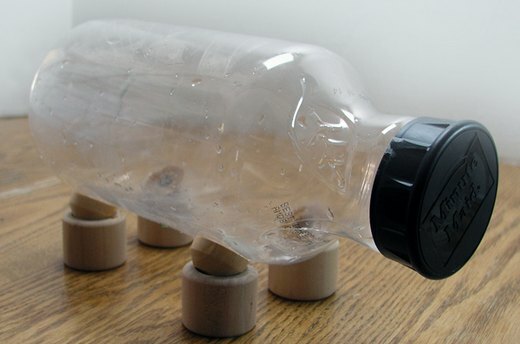 Flattened bottle caps, googly eyes and a plastic bead mouth complete the look.